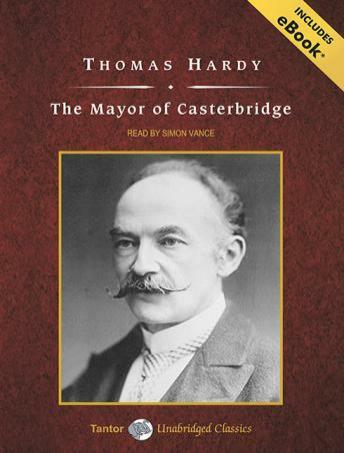 Set against the backdrop of peaceful southwest England, where Thomas Hardy spent much of his youth, The Mayor of Casterbridge captures the author's unique genius for depicting the absurdity underlying much of the sorrow and humor in our lives. Michael Henchard is an out-of-work hay-trusser who gets drunk at a local fair and impulsively sells his wife, Susan, and baby daughter. Eighteen years later, Susan and her daughter seek him out, only to discover that he has become the most prominent man in Casterbridge. Henchard attempts to make amends for his youthful misdeeds, but his unchanged impulsiveness clouds his relationships in love as well as his fortunes in business. Although Henchard is fated to be a modern-day tragic hero, unable to survive in the new commercial world, his story is also a journey toward love.